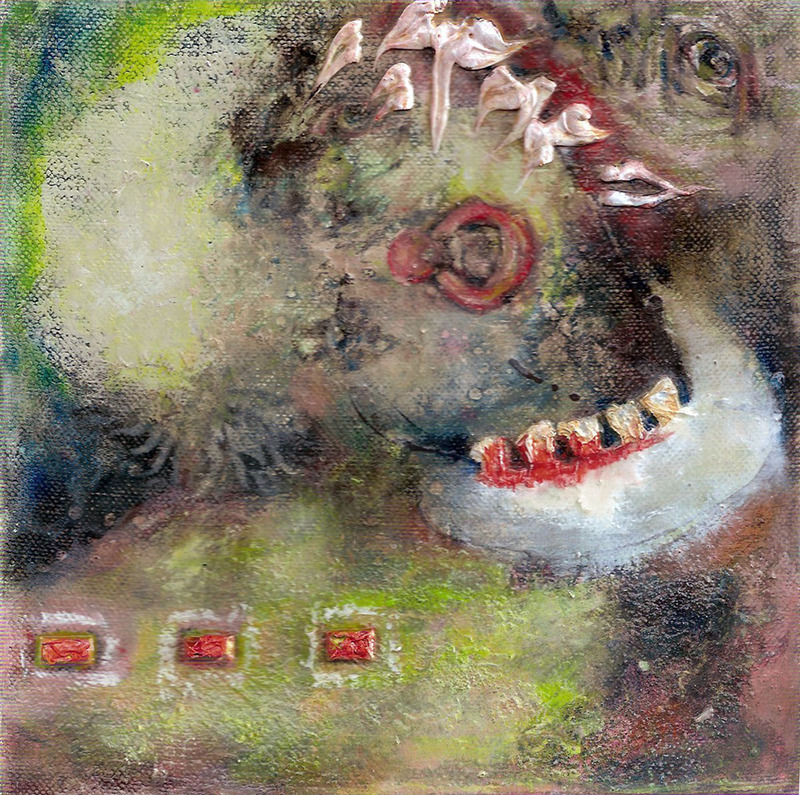 Oil on canvas, 8″ x 8″. This entry was posted in art, contemporary art, fine art, food, new art, painting and tagged a monkey eating a clown, clown, eating, Katie Hoffman, monkey, oil, painting. Bookmark the permalink. Can I still trade in the painting of me and the rabbit for something? Ha! Nice to see you here, Mmaax. Um, no, Max, you know very well that you stole the rabbit painting and that I do not want it back. I can arrange payment plans if there’s a painting you’re interested in. The above painting is not available, though. It’s in the growing collection of a woman in California who collects art on the theme of monkeys eating clowns. Cool world, huh? unexpected is left on the page, on the canvas, on the celluloid, new notes on tape.